MMA: quite possibly the first non-creepy use case of Google Glass. 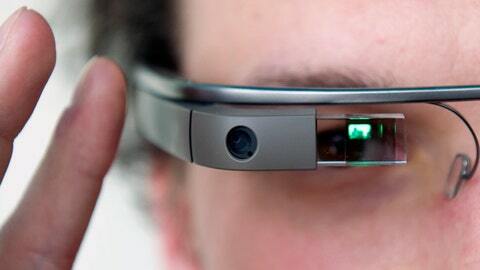 Is Google Glass a game changer? Or will it be MMA’s answer to baseball’s answer to wearing shorts during games? For the first time ever, Google Glass was used to film an MMA fight in Italy. The device was worn by the referee and, honestly, it didn’t look half bad. The picture was clear and we got an actual view of what the ref was looking at as the action went on, which would be particularly interesting if it were ever worn by Steve Mazzagatti. Would we see him peering off into the third row while a competitor was getting beaten senseless up against the cage? It would never make sense for the UFC or FOX to use Google Glass to broadcast an entire card, but there’s no reason why it couldn’t be used for highlights and instant replays, kind of like the Phantom Cam. It could also be cut to live in certain instances, like the ground cam that FOX has been using so effectively. Google Glass could also be big for smaller promotions. Who needs a camera and cameraman when you have a high-definition unit attached to the referee’s head?